Soak sliced onion in cold water for about 5 minutes, then strain well. Mix oil, lime juice and salt in a jar with a tight fitting lid. Shake, taste and adjust. 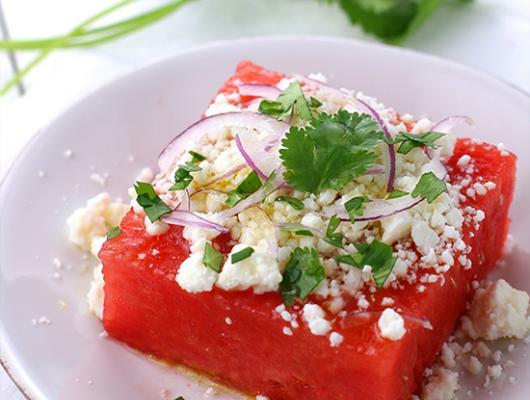 Place watermelon on serving plate, sprinkle with onion and cheese. Drizzle with dressing. Garnish with cilantro. 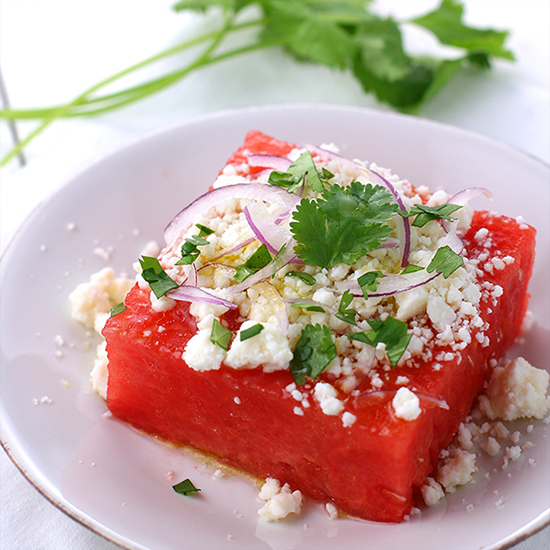 Simple, fresh and gorgeous - this Watermelon Salad is a perfect addition to your summer festivities!